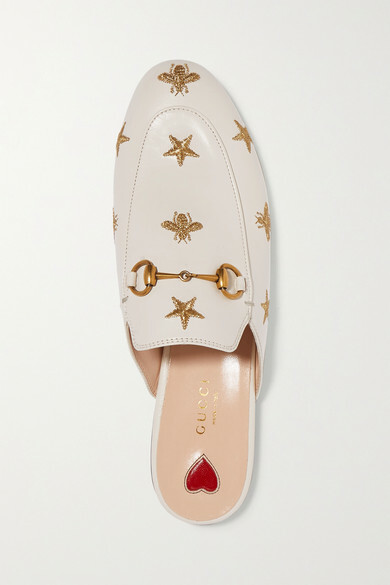 There are so many iterations of Gucci's 'Princetown' loafers, you're guaranteed to find a pair that's perfect for you. 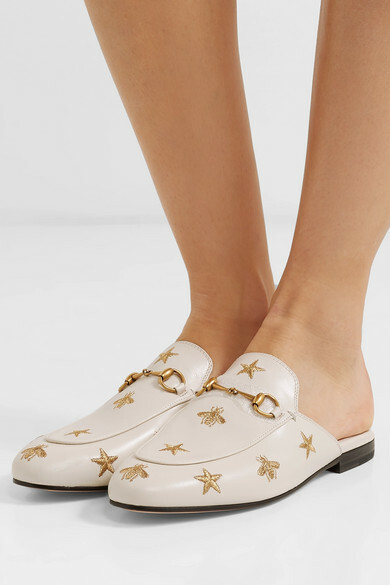 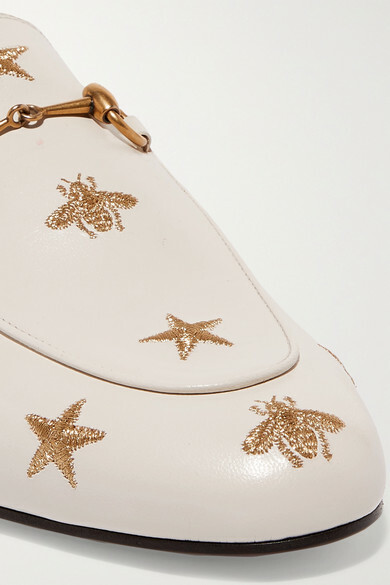 This white version is made from smooth leather embroidered with the house's archival bee and star motifs and finished with signature horsebit hardware. 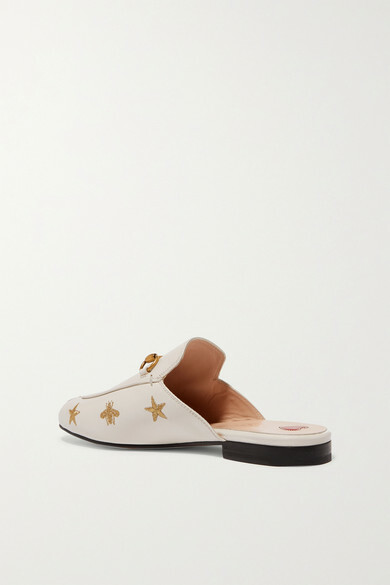 Wear yours with everything from cropped pants to mini skirts. 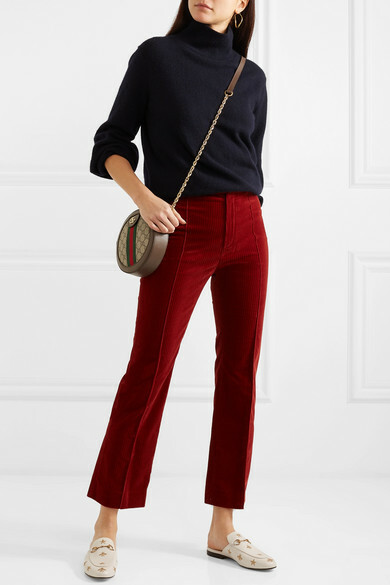 Shown here with: Vince Sweater, Chloé Pants, Gucci Shoulder bag, Chan Luu Earrings.